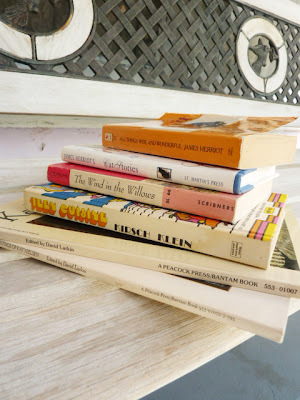 Bought a few books recently, four are impulse buys from a library book sale (Riverside Library in California, folks) and the other two are for my art book reference collection. I already have a copy of this but in a different cover! 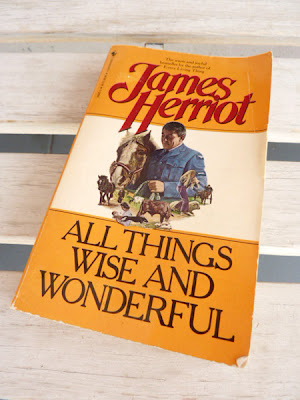 1977 edition, 'All Things Wise and Wonderful' by James Herriot, I plan to read this on the plane back home. If you like animals, want some funny or heartwarming animal stories, I highly recommend his books. He was a country vet based in Yorkshire during the war period and mid-century, so this is semi autobiographical. This cost me a dime! 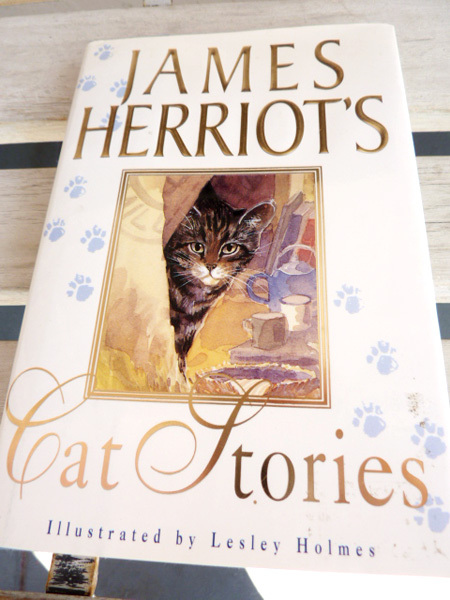 I think I read this 'James Herriot's Cat Stories' a long time ago. It's hardcover and 75 cents. The book contains short stories which are excerpts from his other books so it is suitable for younger readers. 1994 edition. Beautiful cover, though the book is a little bashed up. 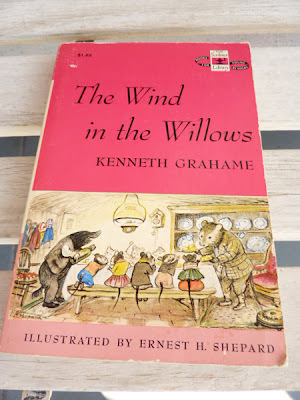 Love the pink and I love the illustrations by E.H. Shepard. The Wind in the Willows stop-motion animation by Cosgrove Hall back in the 1980s is my favouritest animation ever! 1961 edition. I think I paid a quarter for this. Don't know how I found this treasure since it was on its side, I only touched it because of the title in YELLOW on the binder lol. 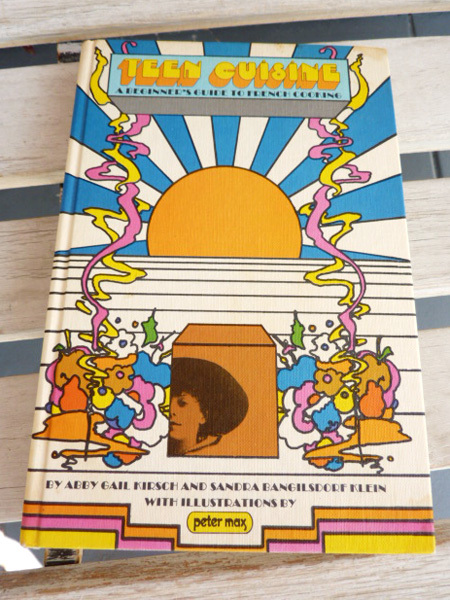 And surprise it is a cookbook illustrated by Peter Max (one of my fave artist)! 'Teen Cuisine: A Beginner's Guide to French Cooking' by Abby Gail Kirsch & Sandra Bangilsdorf Klein, 1969 edition. There are some food stains on the pages; and the illustrations are mostly small page decors on a few pages but that's ok. A buck! 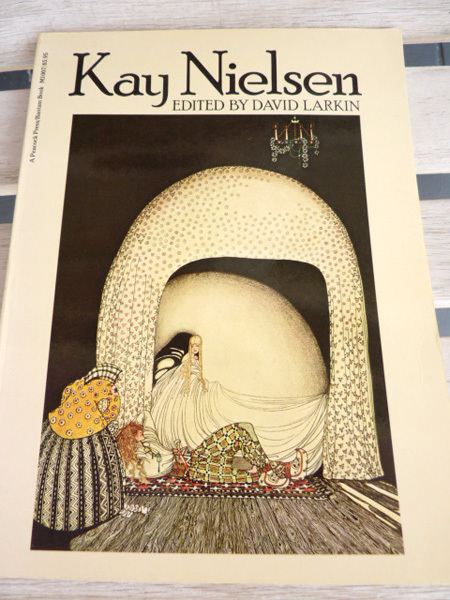 Kay Nielsen, edited by David Larkin, 1975 edition. 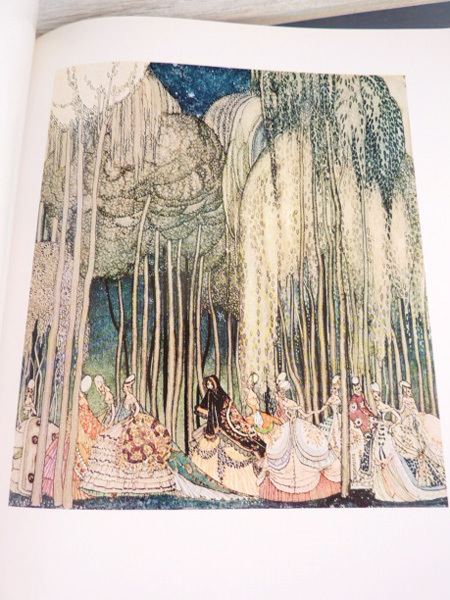 40 plates of my favourite illustrator who belongs to the Golden Age of Book and Illustration. This compilation I read has a better quality printing than other art books of Kay Nielsen's work, so I bought it on Ebay although it was more expensive. I have known of his work for some time now but only digital images so this was going to be purchased sooner or later. A page in the book. 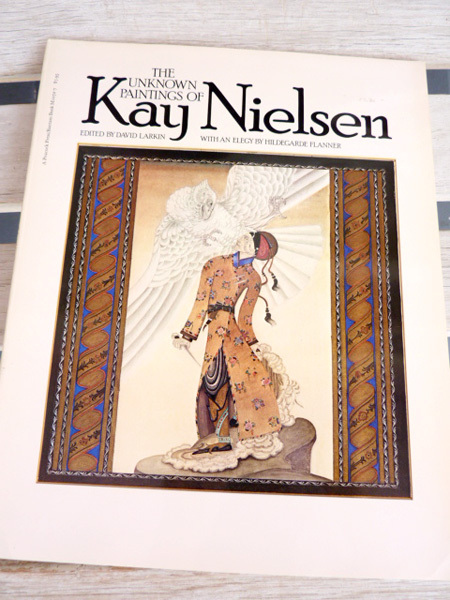 The Unknown Paintings of Kay Nielsen, edited by David Larkin, 1977 edition. 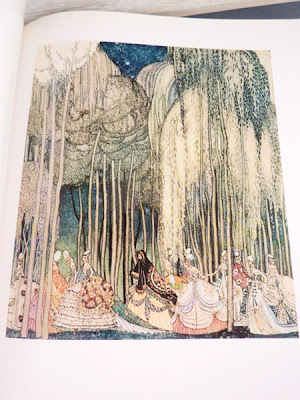 This art book features 42 of Kay Nielsen's unpublished illustrations for 'One Thousand and One Nights'. I also bought this on Ebay. 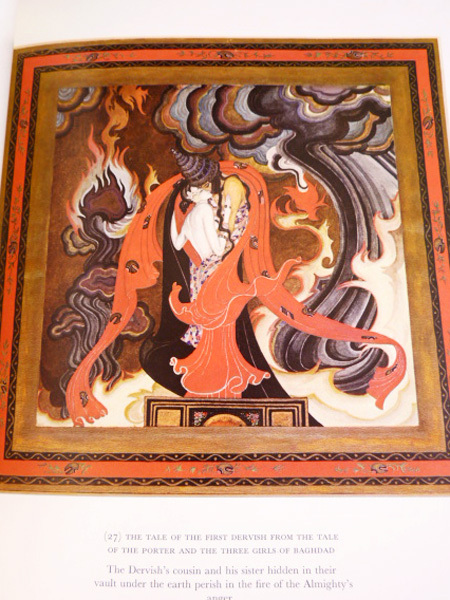 A page in the book, he does some very elaborate and beautiful motif designs in the borders for this collection. Awesome blog collection granted by you, really so celestial blog promoted by you. Thanks a lot for sharing this amazing stuff.